Today’s fast-paced global marketplace demands that we do more – and understand more – in less time, and at less expense. You and your customers need to understand foreign language information and communicate in multiple languages. But the slow turnaround and high costs of traditional human translation services create a roadblock. 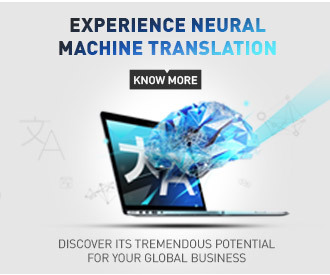 Break the language barrier with an automatic translation service! SYSTRAN translation services automatically translate text and support the most commonly used file formats. Integrated dictionary and post-edition tools increase efficiency incrementally shorten the time to produce high quality translations. Use of SYSTRAN’s automatic translation services enhances multilingual communication and boosts user productivity and time-savings as they deliver real-time language solutions for search, content management, online customer support, eCommerce, and an intranet translation service for intra-company communications. Streamline your translation service with SYSTRAN! Practical for use in every industry – IT, automotive, aeronautics, legal, patents, healthcare, pharmaceutical, and life sciences. Get a SYSTRAN translation service today! Rely on SYSTRAN for quick and accurate translation services. 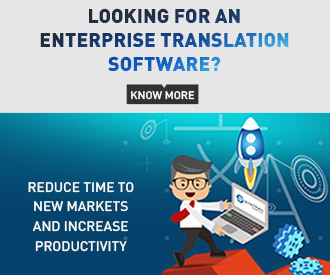 As the market leader in automatic language translation software, SYSTRAN’s automatic translation services are used by thousands of customers worldwide, including top search engines, Fortune 500 and public organizations.